Many people think commercial roofing is a product-based industry. A business or organization needs to purchase a roof—and a commercial roofing company provides the product. However, Maxwell Roofing & Sheet Metal, Inc. is a service-based company. In fact, it’s one of our core values. As a Nashville-based commercial roofing company, we recognize the importance of facilitating relationships to understand client needs and provide an exceptional customer experience. Over the years, our commitment to providing exceptional service for every client is one of the primary reasons businesses choose Maxwell for commercial roofing in Nashville. 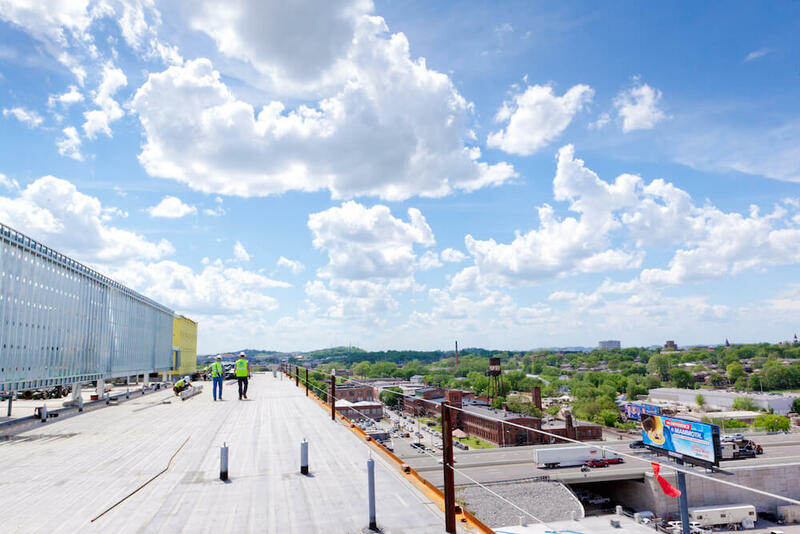 Here are five specific ways our commercial roofing service stands apart in Nashville—along with a few testimonials from Nashville-based business leaders. Our team recognizes the importance of working quickly to install, repair, and conduct maintenance on all our roofing projects. We work quickly. We’re available 24 hours a day, seven days a week, for emergency repairs. In addition to providing priority service through our MAXCare program, we have developed a triage system that allows us to rush to the most serious repairs first. A company with integrity will not only stand by their work, they’ll also have your best interest in mind during each stage of a project. This is a principle we take seriously at Maxwell Roofing. We are involved from start to finish, and you can expect the same experience every single time. We don’t want any of our clients to be surprised or confused about any of the roofing issues or repairs that are being done. At Maxwell Roofing, we make it a priority to keep our customers informed every step of the way. We are committed to helping our clients assess potential problems and forecast for the longevity of their facilities’ roofs. Anyone can tell you that a section of a roof needs to be repaired, but when you’re spending money to fix a critical portion of a building’s structure, you deserve to know what the damage is, why the repair is in order, and how the fix will be made. Our customers are consistently surprised by the level of depth found in our comprehensive reporting. We expect our customers to have a positive experience every single time. We hold ourselves to a standard that accepts nothing less. That’s why we’re committed to educating and equipping our employees with the skills they need for every part of the job. Are you looking for a commercial roofing company in Nashville with a proven track record of quality service? Contact our team today to learn more about Maxwell’s commercial roofing services. We’d love to hear more about your project and explore how we can best serve you.